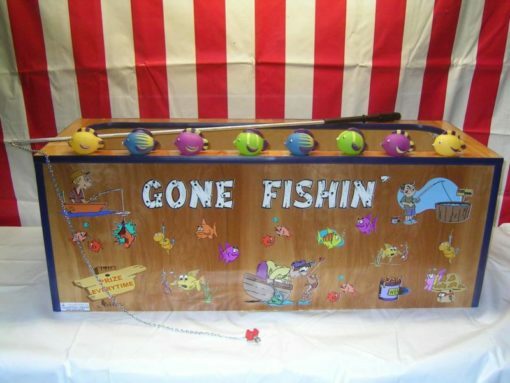 Gone Fishing - A favorite Carnival Game For Young And Old. horseshoe magnet and 24 economy puffer fish. 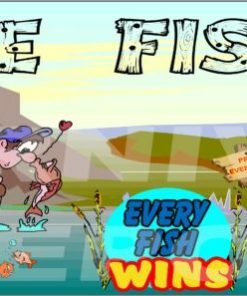 This game does not take water. 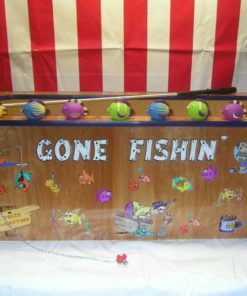 MELANIE from Sacramento & Lelah from Bantam purchased this item recently.